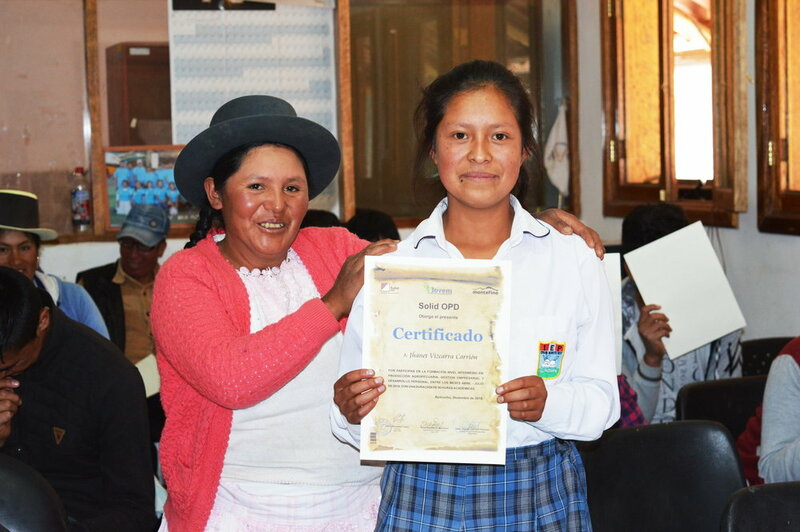 Jovem is an agricultural-technical training for entrepreneurial youngsters in the Ayacuchan Andes in Peru. The project trains youngsters to become successful agricultural entrepreneurs through supplying a very practical and qualitative agricultural education. Not only is there attention for agricultural-technical subjects, but they also work around themes such as entrepreneurship, business management and personal development. An important aim is to also stop the flight of promising youths from the countryside to the city, where they often end up in even worse living conditions. 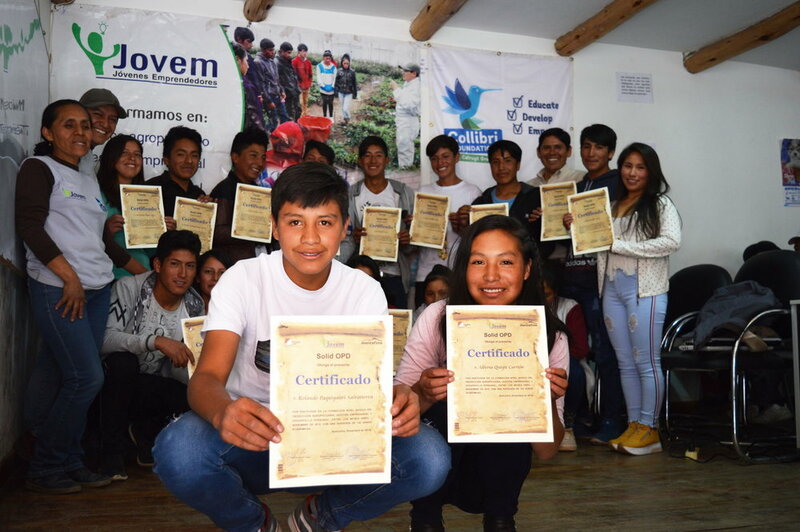 Jovem offers the youngsters a better future and aspires to a revaluation of a sustainable life on the countryside. The aspect of sustainability is the red thread throughout the project. As such the youngsters learn the principles of biological agriculture and horticulture. Aspects such as sustainable soil management, the avoidance of erosion, sustainable water use, sorting, recycling, compost use, environment friendly pest management, … are fully integrated in the project. 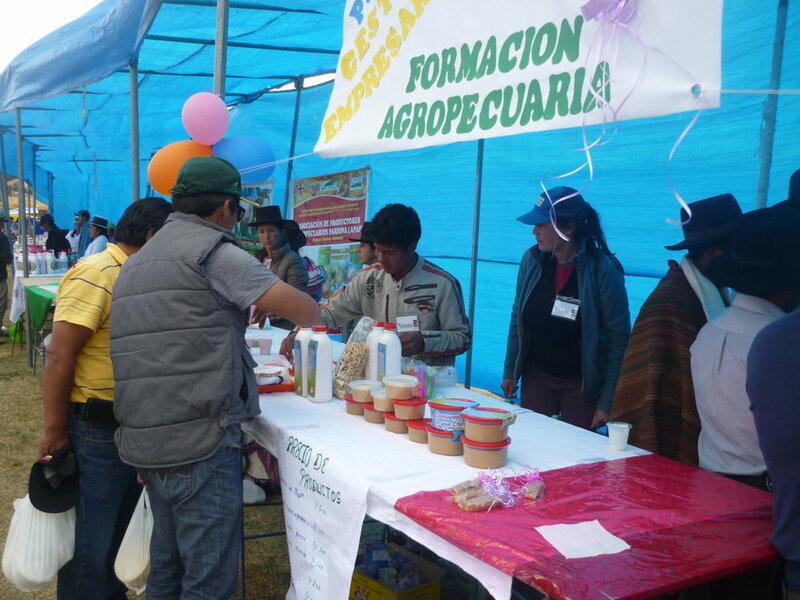 The growing of local crops from the Andes, such as cañihau, kiwicha, maca or tarwi is encouraged..